In recent years, the capacity in styrene-butadiene latex (abbr. SBL) market has been excessive. Suppressed by the environmental protection policies, more and more SBL enterprises are faced with the pressure of survival and transformation. Owing to the environmental protection policies and the SCO summit held in Qingdao, the production at domestic SBL and downstream producers were suspended or restrained frequently. In addition, backed by the price rise in feedstock butadiene, the SBL prices moved sideways. Most of the small or medium-sized producers adopted sales-oriented production policies. It was heard that there were newly added SBL units being put into production in Anhui, and the new supply potential drew much attention from the market. In 2018, the trading was lukewarm in SBL market, and the profit margin at most producers was insipid, dampening players’ enthusiasm to enter the market. However, in 2019, in response to the national policies, how will the supply and demand evolve in the future SBL market? Under the oversupply in the paper-making industry, how has the domestic downstream demand pattern been changed? In addition, the cost pressure suppresses the profit margin at domestic SBL producers. In the future, under the expansion of the butadiene capacity, how will the cost side change in 2019? 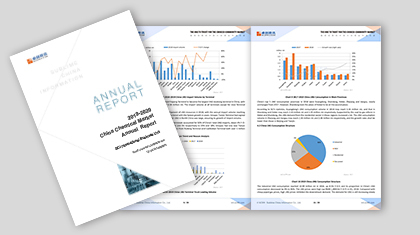 2018-2019 China Styrene-Butadiene Latex Annual Report will mainly expound the supply and demand pattern in SBL market, based on the original data collected by SCI, authoritative statistics from National Bureau of Statistics of China and General Administration of Customs. Combined with the graphic data analysis of price, profit, import and export and feedstock price trend, this report can provide the judgment basis of future market development for enterprises. SCI will spare no effort to meet the needs of customers and provide the most comprehensive referential suggestions in future operation. 3. To reduce the purchase cost and make the purchase forecast strategy via analyzing and predicting the prices of major feedstock. 4. To analyze the price influencing factors from different angles and help market players better understand the future price trend.